Jackie is the stylish lady behind the dmv fashion Blog, the modelista. Though still a business student at the University of Maryland, Jackie has grown an incredible following for her fashion blog, The Modelista. 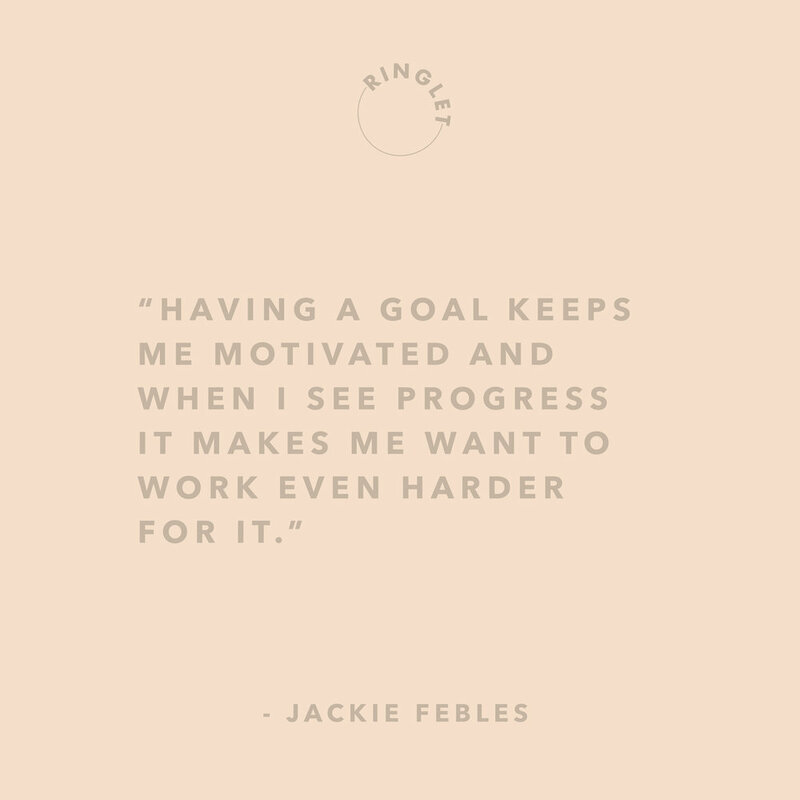 We love Jackie's spirit and how driven she is. From her detailed and honest beauty reviews to bomb fitness tips, her blog provides readers with much more than just her chic sense of style, but if you're looking for styling tips and great outfit-inspo, look no further! 1. Tell us about your blog! I first started my blog as a creative outlet to share my love for fashion and style. I have always dreamed of being in the fashion industry and starting a blog was a way for me to get a step closer to that dream. Today, my blog and social media channels have made me more than just a blogger, but also a social media influencer from working with fashion and beauty brands. Not only do I share my day-to-day style and tips, but also beauty and lifestyle content for everyday women. My goal is to keep inspiring women to follow their dreams and to always be confident in themselves. I feel that fashion and beauty can makes us all feel confident and beautiful not only from the outside, but from within. A lot of passion and determination. Running a blog is a lot of work. We are our own photographers, editors, directors, run the business side, and basically our own boss. Being in college full-time, working, and running a blog is not easy, but if you are passionate about it, you’ll make time for it. Although I am nowhere near where I want to be, it does not discourage me, instead it pushes me to create more content and build my blog every day. 3. What brings you the most joy when developing your blog? Creating content that I love and that I know my readers will enjoy! I like to call my readers and followers on social media, friends, so when they comment it really makes me feel like what I am creating and putting out there means something to them. I also love working with so many amazing brands because it shows me that these huge brands see the value that I can bring to their brand as well. The most difficult part is trying to balance it all! It can get stressful because blogging is not the only thing on my agenda. Trying to find time to fit it all is what makes it difficult. The best part, is the feeling of doing something that I love and am passionate about. Those long hours don’t really matter when you’re creating something for yourself. My motivation comes from within and lots of coffee! I have a natural drive and I believe that when you set goals for yourself you will do your best to reach them. Having a goal keeps me motivated and when I see progress it makes me want to work even harder for it. I love reading about the business aspect of blogging on different platforms and a great place to search is on Pinterest. There are so many amazing resources on Pinterest to learn from when it comes to blogging, social media, and more! I also love to listen to podcasts on different topics such as business, innovation, entrepreneurship, and social media/influencer topics. Since I have no time to read a book I actually want to read because most of my time is spent reading my college textbooks, podcasts are my go-to! I usually listen while on my commute to campus and it gets me so motivated and ready to take on the day! My favorites are The Garyvee Audio Experience and the Becoming Fearless Style Collective podcasts. I start my nighttime routine with a shower and some really amazing skincare products. I’m huge on keeping the skin clean and moisturized and helps me feel refreshed after a long day. I then end my night by organizing myself for the next day. I go into my planner and add all my to-do’s and plan my day for the next day from day to night. It’s very essential for me to plan my days and write everything I need to do because I forget things if I don’t write them down. Then, I’ll probably catch up on my favorite YouTube channels! To keep going and to never give up! We all have days where we feel like we are not seeing the progress we want, but keep going, be consistent, and LOVE what you are doing. If you are not in love with what you are doing, you will be miserable working for something you are not passionate about. Build something you love and put your whole heart into it because you have absolutely NOTHING to lose!